It was a dark, sad day for many when Donald Trump was announced the winner of the election, and was named president no. 45 in American history. There are so many what-if scenarios that many Americans have pondered during this current, awful administration, but imagine if Hillary Clinton would have won, and finally been the "disclosure" president? She once wanted to be an astronaut and work for NASA, so her interest in space was always there. Businessman Laurance Rockefeller took his interest in UFOs straight to the Clinton administration in the 1990s by crafting a document titled "Lifting Secrecy on Information About Extraterrestrial Intelligence as Part of the Current Classification Review." Researcher Grant Cameron was able to obtain this from a Freedom Of Information Act request. Cameron's Presidential UFO web site is a great resource for past president's interest and involvement in the phenomena. A photo leaked from a 1995 meeting with Clinton and Rockefeller at his Jackson, Wyo. retreat, and Clinton was holding a mysterious book. 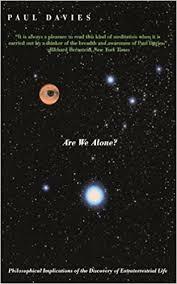 Apparently, the book has now revealed to be "Are We Alone? : Philosophical Implications Of The Discovery Of Extraterrestrial Life " by theoretical physicist, cosmologist, and astrobiologist Paul Davies. Clinton's 2016 campaign chairman John Podesta (also a former chief of staff during Bill Clinton's presidency) interest in UFOs is well-documented, as is his leaked e-mail exchange with Tom DeLonge in 2016. Would Hillary Clinton, a corporate, establishment Democrat, rock the boat by revealing some partial disclosure regarding the UAP phenomena? If she or any other elected official in high power did this, would it cause problems with other world leaders and then force their hand to reveal what they know? The UFO question has come up before with elected officials and answers have been anywhere from vague to politically diplomatic at best. Trump isn't the biggest fan of space, and who knows what he's actually been told if anything. With an increased interest from the media, the "Pentagon UFO" story, Luiz Elizondo's To The Stars Academy media tour, all gaining a decent amount of traction this year, imagine how much bigger it could be if Hillary Clinton was president and went all-in on the idea of making some classified information available to the public. And we can argue whether the public is "ready" for these types of revelations all day, and the government can pass that same, tired excuse. With her husband's campaign history, and her associates like Podesta all being UFO-friendly, it is intriguing to ponder if she was in office what, if anything, would ever be done regarding UFOs.